We went to Tokinosumika in Gotemba, Shizuoka, this past Golden Week. To be honest, I love discovering new places, but with 4 young children it is easier just to go somewhere we are familiar with. Tokinosumika never disappoints and each year they have something new there. Something that is not new and is somewhat of a symbol of the resort is their “Bell of Love”. This year I thought to get a snap of it in the daylight, as I only had old photos taken in the dark. It was a clear day and you could see Mt Fuji under the bell. Bonus! 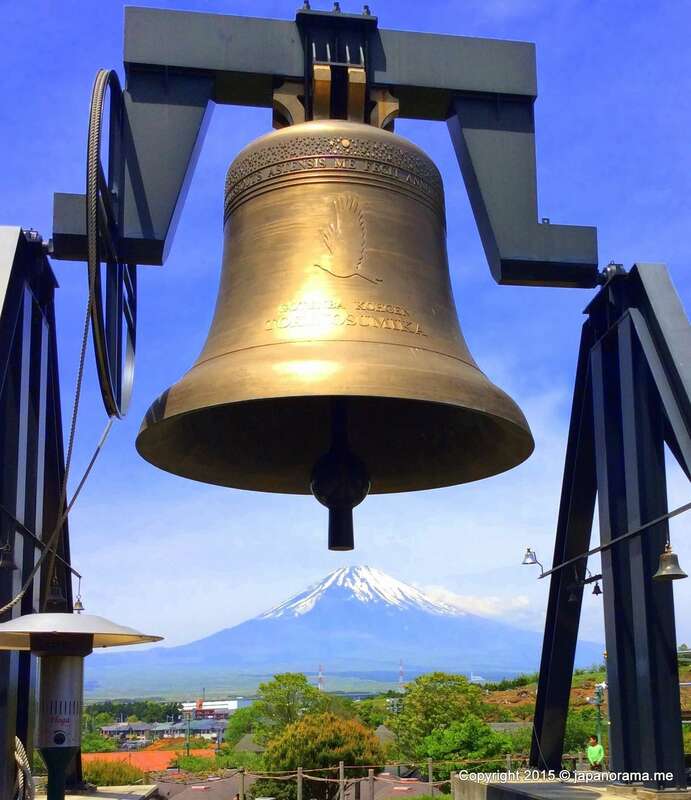 The bell, at 36,170 kilograms, is the 2nd heaviest in Japan and 5th heaviest bell in the world. 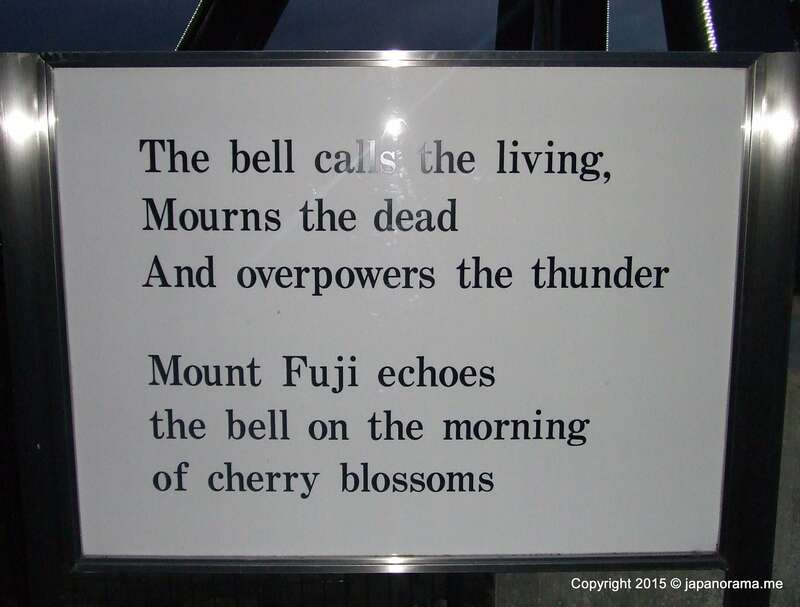 There is a quote beside it in English “The bell calls the living Mourns the Dead And overpowers the thunder Mount Fuji echoes the bell on the morning of cherry blossoms” With all the volcanic activity in nearby Hakone,I hope it’s not a forewarning!! The bell is situated next to the children’s playground, which got an upgrade since we last visited. 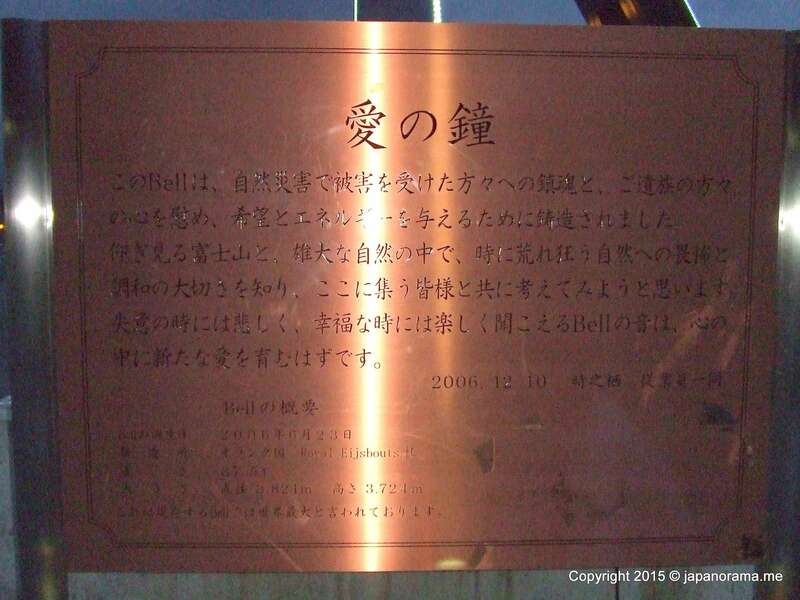 For more on Tokinosumika, also known as Gotemba Kogen, please see: http://insaitama.com/?s=tokinosumika or visit the official website http://www.tokinosumika.com/. Of course, it is easier to notice with fresh eyes!